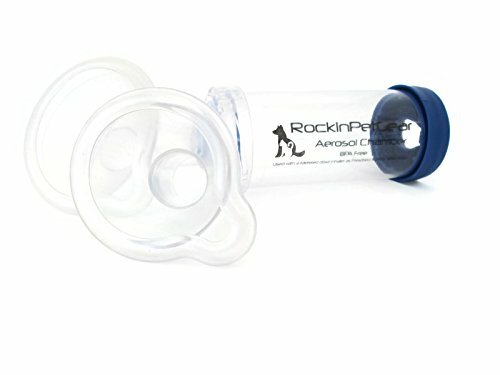 DELIVER MEDICATION DEEP INTO YOUR DOG'S LUNGS - The AERODAWG* Canine Aerosol Chamber allows your dog to breathe normally while inhaling asthma medication. Inhaling medication for canine asthma, wheezing, chronic bronchitis and allergic rhinitis is preferred by vets and pet parents over oral or injected steroids. 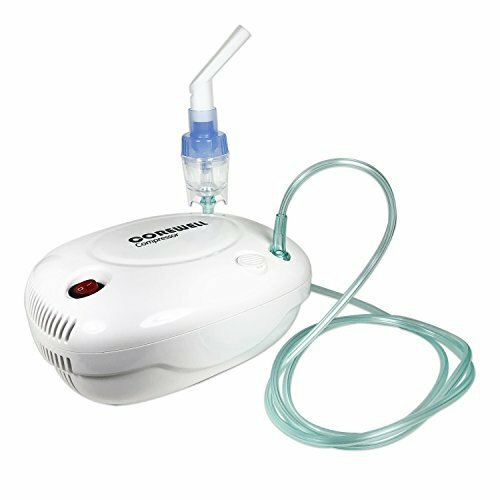 Our asthma chamber delivers fast-acting dog asthma relief and sends medications directly into the lungs, meaning a lower dose of drugs is required, with fewer side effects. 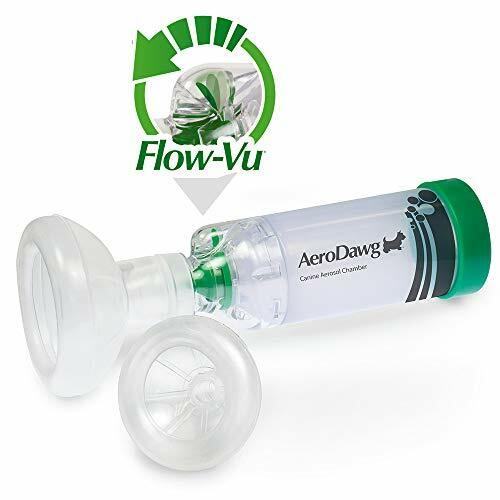 EASY TO ADMINISTER & DOSE - The AERODAWG* canine spacer inhaler for asthma medication makes the administration of life-saving drugs easier and frustration-free. All you need to do is puff your dog inhaler into the asthma chamber and allow him to inhale normally. Our exclusive FLOW-VU* indicator will let you know if your dog is inhaling the medication properly. COMPATIBLE WITH ALL METERED DOSE INHALERS - No matter which Metered Dose Inhaler (MDI) your veterinarian prescribes for your dog's wheezing, bronchitis, allergies or other symptoms, the MDI will fit the universal adapter on the AERODAWG* Canine Aerosol Chamber. 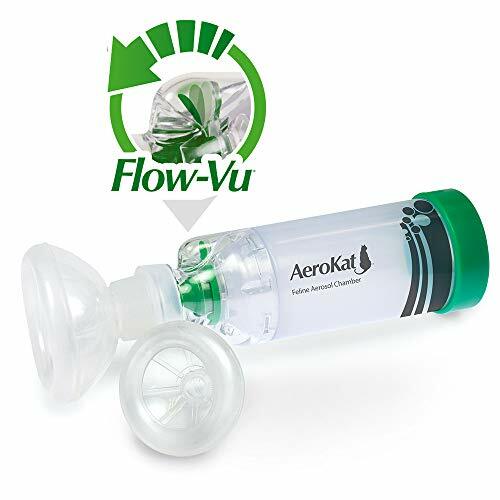 AERODAWG* Chamber has a low-resistance valve that only releases medication when your dog inhales. Easy-to-clean, anti-static plastic keeps medication from sticking to the sides, helping ensure your dog gets the medication every time. DESIGNED TO FIT ALL BREEDS - We've developed AERODAWG* Chamber in two sizes. AERODAWG* Small Chamber fits dogs 20lbs or less, and AERODAWG* Large Chamber fits dogs over 20lbs. Both options come with two different-sized masks to ensure a proper fit. Our masks are made from soft silicone that won't stick or pull your dog's fur. If the noise of the inhaler scares your dog, you may release the medication into the chamber before placing the mask on his face. DEVELOPED BY LEADERS - Celebrating 95 years in operation, Trudell Medical International are leading innovators in the design and manufacture of devices that deliver aerosol medications to both animals and humans. 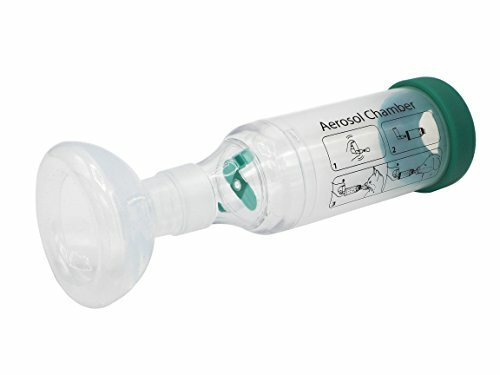 We designed the AERODAWG* Chamber specifically for use with canine inhalers for all canine respiratory conditions to make administration easier and to provide effective dog respiratory relief. FITS ALL DOGS - comes with one chamber and two different sized masks to ensure optimal fit for your dog.a small mask for dogs weighing 20lbs or less, a large mask for dogs > 20lbs,but if your dogs weighing < 10lbs,you`d better choose the size for cat,it must can fit. EASY TO OPERATE AND CLEAN - Comes with instruction manual for operation of use as well as cleaning instructions. ✔ THE IDEAL FIT-Two Silicone Masks Small And Medium Are Included, Perfect For Any Size Cat or Small to Medium Sized Dogs. ✔HIGH QUALITY-Used For Dogs and Cats With Asthma, BPA Free Anti-Static and Dishwasher Safe For Easy Cleaning or Just Clean With Mild Soap and Water. 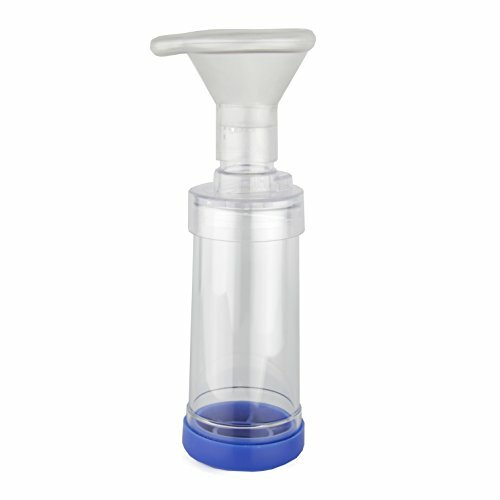 ✔EASY TO USE-The Aerosol Chamber spacer Has a Low Resistance Inhalation and Exhalation Valve That is Blue Near The Top Of The Chamber, So Your Pet Can Breath The Perfect Amount Of Metered dose With Comfort And Ease. 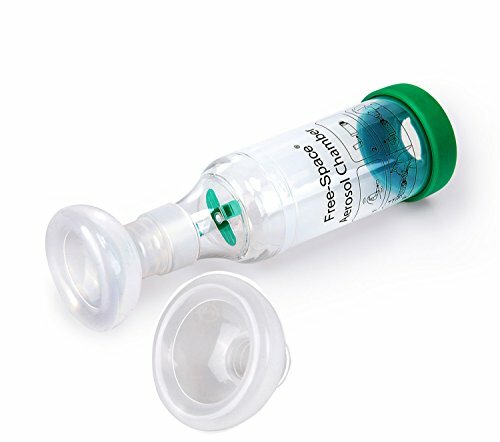 ✔YOU NEED THIS TYPE OF SPACER-To Ensure the (MDI Metered Dose Inhaler) Gets Where It Belongs And Not In the Back Of The Throat And Nose, That Could Cause An Irritation Or Small Infection. Works with all metered dose inhalers prescribed by veterinarians for cats' wheezing, asthma, etc. WHY US - Our serrapeptase capsules are scientifically tested in our state-of-the-art, FDA-approved facility in the United States, where we adhere to strict manufacturing guidelines and always follow best practices. Before shipping, all batches are third-party tested for purity, safety and quality assurance to ensure each bottle is held to the highest standards possible. POTENT FORMULA FOR MAXIMUM RELIEF - Unlike other serrapeptase supplements that contain 20,0000 - 120,000 SU, our formula boasts a whopping 80,000 SU for maximum potency. Relieve pain and inflammation faster, more effectively and without having to take a large number of capsules to achieve the same effect. DELAYED RELEASE, ACID-RESISTANT CAPSULES - Experience all-day comfort and relief with extended release capsules that work around the clock, rather than in short bursts. Acid-resistant enteric coating ensures the serrapeptase won't be destroyed in your stomach before the medication is released, resulting in drastically improved absorption into the blood stream. 100% VEGETARIAN AND KOSHER - Our serrepeptase capsules are Kosher- and vegetarian-certified, and made from premium-grade, all-natural ingredients. They're also 100% GMO-free. FREE Prime SHIPPING & MONEY-BACK GUARANTEE - We value our customers and believe in free shipping on all of our products. 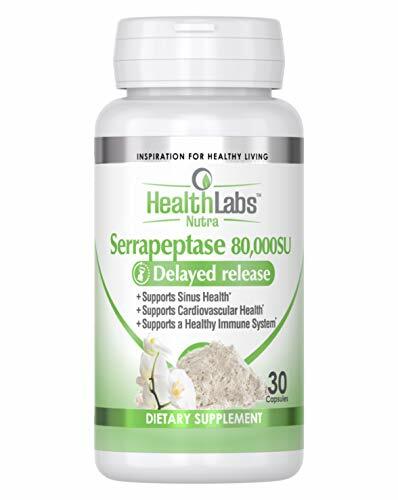 We know you'll love the results you get from our serrapeptase supplements, but if you don't for any reason, you're fully covered by our 100% money-back, no-questions-asked guarantee! YOUR PERFECT CANINE AEROSOL CHAMBER Inhaler Spacer is used to help deliver medication to dogs suffering from respiratory conditions such as Asthma, Chronic bronchitis, Tracheal Collapse. BREATHING INDICATOR We Design flow indicator that allows you to see exactly how much medication your dog is getting, which means they will receive the exact amount of medication every time it's used. 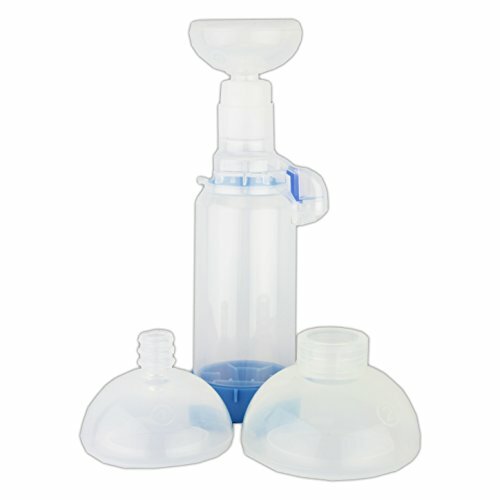 MATERIAL MEDICAL GRADE This inhaler spacer and mask are made from high-quality PP and silicon. EASY TO USE AND CLEAN Come with the instruction manual for using and cleaning. You can do it by yourself easily. 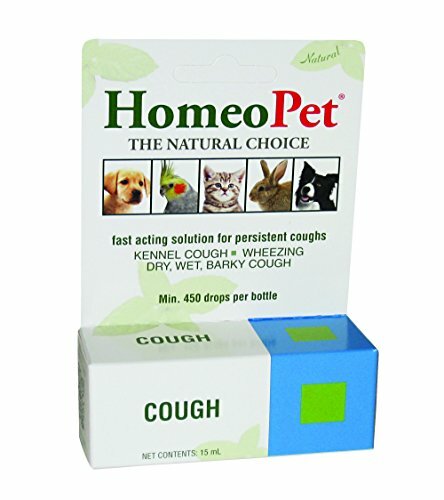 For Cats With Asthma & Breathing Difficulties (Wheezing,Laboured Breathing, Persistent Cough e.c.t). This Respiratory Relief extract made from the natural highest quality human-grade Dried Pinellia Rhizome, Armenica Seed, Platycodon Root, Fritillaria, Mori Cortex, and Rhododendron. Other ingredients: vegetable palm glycerin, crystal clear water. Hawaii Pharm Respiratory Relief Supplement contains no GMO, gluten, heavy metals, artificial colors, preservatives or synthetic fertilizers! Super concentrated Respiratory Relief Veterinary Natural Alcohol-FREE extract: dried plant/ solvents ratio is 1:3! 1 ml of our glycerite is approximately equal to 300 mg of dried plant. 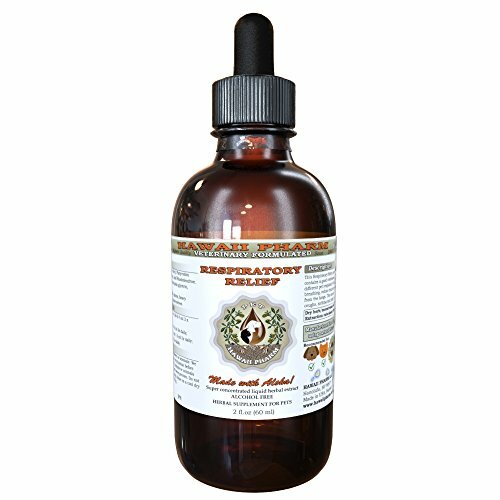 Respiratory Relief Pet Herbal Supplement is 100% drug-free and non-addictive natural Glycerin based liquid formula proudly manufactured in the USA, Hawaii to ensure highest quality of the product! Suggested use: For dogs under 30 lbs, use 0.25-0.5 ml 3 x daily; for dogs 30-60 lbs, use 0.5-1.0 ml 3x daily; for dogs more than 60 lbs, use 1-2 ml 3x daily; For Cats, use 0.25-0.5 ml 1-2x daily.